Huawei’s sub-brand Honor has launched its latest wearable Honor Band 4 in India. 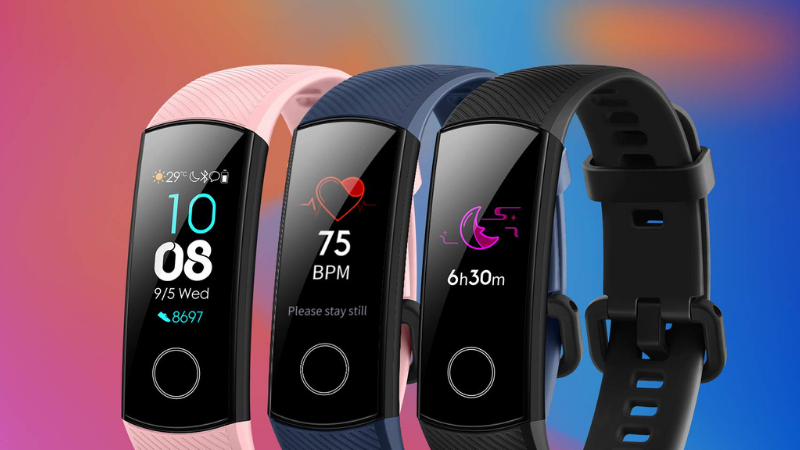 It is the successor to Honor Band 3 and comes with several new features like a 0.95-inch AMOLED color touchscreen display with a Home button, continuous heart rate tracking and water resistance up to 50 meters. The Honor Band 4 sports a 0.95 inch AMOLED touchscreen color display with a home button. It supports Bluetooth 4.2 LE connectivity and is compatible with Android 4.4 or later or iOS 9.0 or later. It also supports NFC for payments. In terms of activity tracking, it has a Pedometer for step counts, Sleep Tracker for sleep data, Exercise Tracker, a Sedentary reminder. It has 6-axis sensors with an infrared detection sensor. The device is water resistant up to 50 meters and dust resistant as well with 5 ATM rating. The continuous heart rate sensor comes with Huawei’s TruSeen 2.0 heart rate technology that offers 24-hour continuous heart monitoring. The Honor Band 4 also has Huawei’s TruSleep 2.0 that uses CPC to monitor complete sleep structure including deep sleep and offers personalized sleep recommendation as well. It also shows call and message notification on screen and there is an incoming call mute function as well. The device packs a 100mAh battery with up to 14 days of battery life or 20 days standby time. Dimensions of the band are 43 × 17.2 × 11.5 mm and its weight is approx. 23g. The Honor Band 4 price in India has been set at Rs. 2599. It comes in Meteorite Black, Midnight Navy, and Dahlia Pink colors and will be available exclusively via Amazon.in starting December 18.